5 time Pure Pro Wrestling (Michigan) Tag Team Champions. Once with Club Director Donahue, 4 times with Ace Evans. September 23, 2014 – Highspots: Cory Lyon defeated CJ Anderson. January 10, 2015 – Fire Pro Wrestling: Stone Hands Wallace defeated CJ Anderson. January 23, 2015 – PWASD: Josh Movado defeated Chris Moore and Chuck Stein and CJ Anderson and Cory Lyon and Deputy Dave and Frank Isaac Anderson and Great Akuma and Jack Thriller and Jeff King and Jun Hado and The Spanish Fly in a gauntlet match. January 24, 2015 – FWF: Kongo Kong defeated CJ Anderson, Cory Lyon & Reinmetal in a gauntlet match. 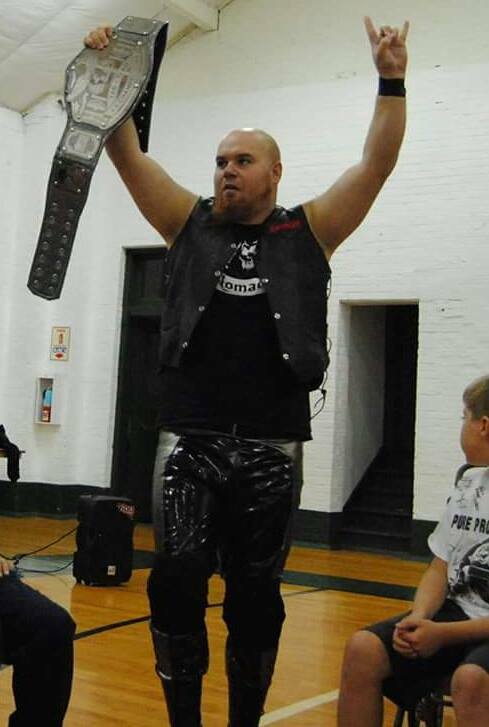 February 7, 2015 – APW: Josh Movado defeated CJ Anderson. 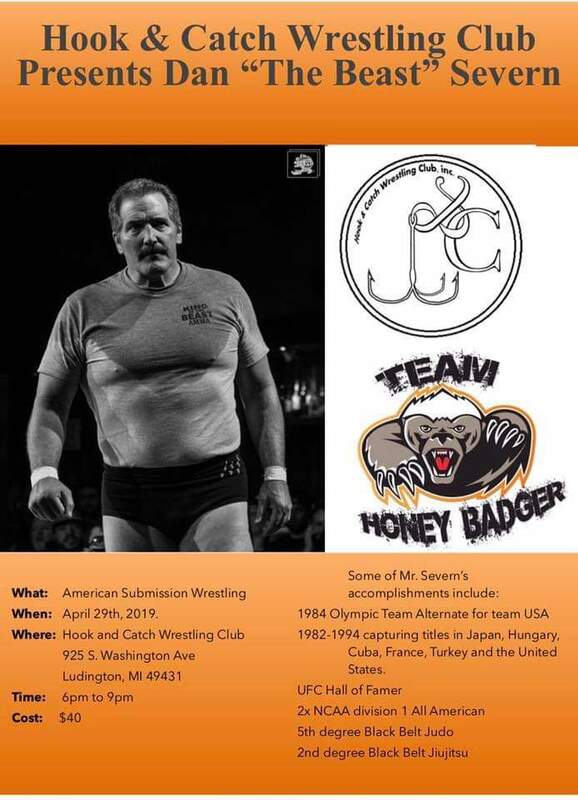 March 17, 2015 – CPW: Cory Lion defeated CJ Anderson. July 10, 2015 – HPW: CJ Anderson vs. Frankie The Face ended in a no contest. October 17, 2015 – NOW: CJ Anderson defeated Broderick Shaw. December 12, 2015 – NOW: Brandon Edwards defeated CJ Anderson. December 18, 2015 – UWA: CJ Anderson defeated Daniel Winchester. January 20, 2016 – UWA: CJ Anderson defeated Daniel Winchester. February 21, 2016 – UWA: CJ Anderson defeated Daniel Winchester in a best 2 out of 3 falls match. April 16, 2016 – PPW: The Can’t Miss Crew (Carter and Cruise) defeated The Nomads (Ace Evans and CJ Anderson). April 23, 2016 – PPW: CJ Anderson defeated Josh Raymond. May 28, 2016 – PPW: CJ Anderson defeated Cory Lyon. August 19, 2016 – PPW: CJ Anderson defeated Xavier Justice. The Nomads (Ace Evans and CJ Anderson) defeated Cobra TA and Xavier Justice by disqualification to retain the tag team titles. August 26, 2016 – PPW: Alex Weir and Kef Sweat defeated CJ Anderson and Donahue to win the tag team titles. August 27, 2016 – PPW: Alex Weir and Kef Sweat defeated CJ Anderson and Donahue to retain the tag team titles. August 28, 2016 – PPW: CJ Anderson and Donahue defeated Alex Weir and Kef Sweat to win the tag team titles. August 29, 2016 – PPW: CJ Anderson (replacing Ace Evans) defeated Cobra TA to retain the heavyweight title. September 12, 2016 – PPW: CJ Anderson (replacing Ace Evans) defeated Cory Lyon to retain the heavyweight title. September 18, 2016 – Universal Wrestling Alliance: CJ Anderson defeated Alcatraz 187 to win the United States title. September 20, 2016 – PPW: CJ Anderson (replacing Ace Evans) defeated Gideon Malice to retain the heavyweight title. October 8, 2016 – PPW: Father Time and Xavier Justice defeated Ace Evans and CJ Anderson by disqualification. Evans & Anderson retains the tag team titles. October 9, 2016 – PPW: CJ Anderson and Ace Evans defeated Kef Sweat and Cory Lyon to retain the tag team titles. October 16, 2016 – PPW: The Nomads (Ace Evans and CJ Anderson) defeated Gideon Malice in a handicap match. October 22, 2016 – PPW: Ace Evans and CJ Anderson defeated Palmer Cruise and Xavier Walker. October 23, 2016 – Universal Wrestling Alliance: CJ Anderson defeated Alcatraz 187 to win the heavyweight title. November 12, 2016 – PPW: Cobra TA, Father Time and Xavier Justice defeated The Nomads (Ace Evans, CJ Anderson and Donahue). November 19, 2016 – PPW: Gideon Malice defeated The Nomads (CJ Anderson and Prospect Zero) in a handicap match. November 20, 2016 – UWA: CJ Anderson defeated Alcatraz to win the heavyweight title. January 6, 2017 – PPW: CJ Anderson, Ace Evans, Billy Ray Daniels and Donahue defeated Xavier Justice, Ray Orndorf, Cobra TA and Nitro. PPW tag team titles are retained, while Ace Evans wins the heavyweight title. February 4, 2017 – PPW: The Nomads (Ace Evans and CJ Anderson) defeated Father Time and Xavier Justice to win the Michigan State tag team titles. February 11, 2017 – PPW: The Nomads (Ace Evans and CJ Anderson) defeated Father Time and Xavier Justice to retain the Michigan State tag team titles. March 17, 2017 – PPW: The Nomads (Ace Evans and CJ Anderson) defeated Billy Jack Daniels and Chaz Montana. March 18, 2017 – PPW: Zach Gowen defeated CJ Anderson. March 19, 2017 – IBW: Dre Jacobs defeated CJ Anderson. April 1, 2017 – PPW: Xavier Justice, CJ Otis and Lia Labowe defeated CJ Anderson, Ace Evans and Raja Kong. April 7, 2017 – PPW: The Nomads (CJ Anderson and Ace Evans) defeated Justice Time (Xavier Justice and Father Time) to win the tag team titles. May 5, 2017 – PPW: The Handicapped Heroes (Gregory Iron and Zach Gowen) defeated The Nomads (Ace Evans, Billy Ray Daniels and CJ Anderson) by disqualification in a handicap match. May 6, 2017 – HOG: CJ Anderson and Ace Evans won a gauntlet match against Legion, The Nerds and Spirit of Detroit to win HOG Tag team titles. May 14, 2017 – IBW: CJ Anderson defeated Maltese Tiger. June 3, 2017 – POG: Blake Acumen defeated BD Smooth, CJ Anderson, Matt Hagen and Travis Trendbender in a 5-way match. June 10, 2017 – House Of Grapplers: CJ Anderson and Ace Evans defeated Legion (Phil Nitro and Apocalypse), Spirit Of Detroit (Cassidy and J’ontai Keith) & The Revenge Of The Nerds (Snot and Micro) in a 4-way tag team elimination match to win the tag titles. June 24, 2017 – HOG: Ace Evans and CJ Anderson defeated Spirit Of Detroit (Cassidy and J’ontai Keith) to retain the tag team titles. June 25, 2017 – IBW: Ruff Crossing defeated CJ Anderson. July 14, 2017 – PPW: TDT and Cobra TA defeated Sinn Krowley and CJ Anderson. July 22, 2017 – PPW: Ace Evans and CJ Anderson defeated Xavier Justice and Gary Dawson to retain the tag team titles. July 28, 2017 – PPW Show 1: Xavier Justice defeated CJ Anderson. July 28, 2017 – PPW Show 3: The Nomads (Ace Evans and CJ Anderson) defeated Aaron Orion and Xavier Justice to retain the Michigan State tag team titles. July 30, 2017 – PPW: Father Time defeated CJ Anderson. August 12, 2017 – PPW: CJ Anderson and Ace Evans defeated Aaron Orion and Xavier Justice to retain the tag titles. August 19, 2017 – PPW Show 1: Father Time defeated CJ Anderson. August 19, 2017 – PPW Show 2: The Nomads (Ace Evans, Billy Ray Daniels and CJ Anderson) defeated Xavier Justice, Father Time and Cody Manning. September 2, 2017 – PPW: The Nomads (CJ Anderson and Ace Evans) defeated Xavier Justice and Salem Ash to retain the tag titles. October 7, 2017 – PPW: The Nomads (CJ Anderson and Ace Evans) defeated Salem Ash and Jeff King to retain the tag titles. October 20, 2017 – PPW: CJ Anderson and Ace Evans defeated Jeff King and Salem Ash to retain the tag team titles. December 2, 2017 – PPW: Max Morrison, El Tejano and Hypnotico defeated The Nomads (Ace Evans, CJ Anderson and Billy Ray Daniels). December 3, 2017 – RPW: The Nomads (Ace Evans and CJ Anderson) defeated Xavier Justice and Cobra TA. January 6, 2018 – PPW: The Nomads (CJ Anderson and Ace Evans) defeated oVe (Dave and Jake Crist) to retain the tag team titles. February 16, 2018 – PPW: Cobra TA and Freedom Ramsey defeated Ace Evans and CJ Anderson to win the tag team titles. March 10, 2018 – PPW: Cobra TA and Freedom Ramsey defeated Ace Evans and CJ Anderson to retain the tag team titles. April 12, 2018 – IPW: Ace Evans defeated CJ Anderson. April 13, 2018 – PPW: Ace Evans and CJ Anderson defeated Cobra TA and Freedom Ramsey to win the tag team titles. May 5, 2018 – PPW: Ace Evans and CJ Anderson defeated Father Time and El Tejano to retain the tag team titles. May 26, 2018 – PPW: Jack Price and Aaron Orion defeated Ace Evans and CJ Anderson to win the tag team titles. June 2, 2018 – PPW: CJ Anderson and Road Rash defeated Gideon Malice and Tommy Vendetta to retain the AIWF/PPW Michigan State Heavyweight title. June 16, 2018 – IPW: Ace Evans defeated CJ Anderson. June 30, 2018 – IPW: Ace Evans and CJ Anderson defeated The Youngbloods. July 1, 2018 – BCWA: CJ Anderson was in a battle royal. July 5, 2018 – IPW: CJ Anderson and Ace Evans defeated Nate Brandt and Dillon. July 6, 2018 – IPW: MM3 and DBA defeated CJ Anderson and Ace Evans to retain the tag team titles. July 7, 2018 – BCWA: CJ Anderson was in a battle royal. July 28, 2018 – PPW: Ace Evans and CJ Anderson vs Aaron Orion and Jack Price ended in a no contest. Evans & Anderson retains the tag team titles. September 8, 2018 – PPW: Tommy Vendetta defeated CJ Anderson. September 15, 2018 – PPW: Ace Evans and CJ Anderson defeated MM3 and Tommy Vendetta. October 6, 2018 – PPW: Death Threat Army (Aaron Orion and Jack Price defeated CJ Anderson and Ace Evans to win the tag team titles. October 20, 2018 – PPW: Ace Evans defeated CJ Anderson. October 26, 2018 – PPW: Xavier Justice and Joe Salisbury defeated Ace Evans and CJ Anderson. October 27, 2018 – PPW: Ace Evans and CJ Anderson defeated a local tag team. November 2, 2018 – PPW: Xavier Justice and Joe Salisbury defeated Ace Evans and CJ Anderson. November 3, 2018 – PPW: Tenshi defeated CJ Anderson by disqualification. CJ Anderson defeated Xavier Justice. November 10, 2018 – PPW: CJ Anderson and Moe Evans defeated Aaron Orion and Jack Price to win the tag team titles. December 8, 2018 – PPW: CJ Anderson and Moe Evans in a battle royal to defend the tag team titles ended in a no contest, when Kongo Kong tossed everyone. CJ Anderson & Moe Evans retained. December 15, 2018 – PPW: CJ Anderson and RoadRash defeated Gideon Malice and Tenshi by disqualification. CJ Anderson & RoadRash retained the PPW tag team titles. January 5, 2019 – PPW: Gideon Malice defeated CJ Anderson to retain the heavyweight title. March 23, 2019 – PPW: Samson Real and Tay Rizer and Xavier Justice defeated Ace Evans, CJ Anderson and Road Rash to retain the tag team titles. March 30, 2019 – PPW: Ace Evans, Road Rash and Pickles the Clown defeated Giuseppe Colona, Samson Real and Tay Rizer to win the tag team titles. April 6, 2019 – PPW: Tay Rizer, Samson Real and Father Time defeated Ace Evans, CJ Anderson and Road Rash to win the tag team titles. Big thanks to CJ Anderson for contributing information on his profile page. as opponent stumbles out I hit a hard lariat to the back.